TCR: Yets- Cuteness Overload With Substance! No, you aren’t seeing things, or clicked on a book review by accident. 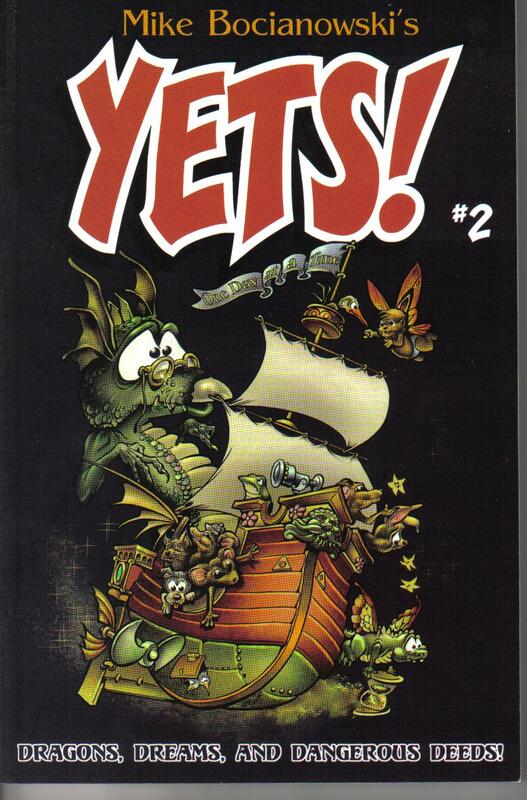 I am hijacking Jackie’s Thursday Comic Review to review my very first Graphic Novel, Yets #2: Dragons, Dreams and Dangerous Deeds! Before I delve into the review, I want to give some background on this story. I encountered this book at the recent Pittsburgh Comic Con. The author/illustrator Mike Bocianowski was selling prints of his work, and I was instantly drawn to them. They are, in a word, adorable. 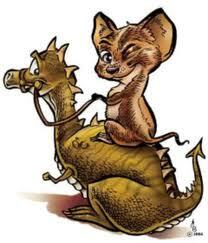 Whimsical, beautiful images of dragons (technically they are called Yets) doing various cute things. I had to have one (actually I bought two! 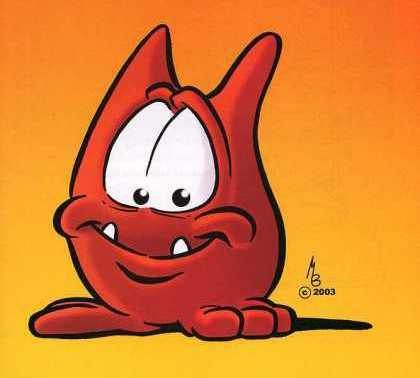 ), and as I spent some time talking to him, he introduced me to the Graphic Novel that used the delightful creatures. Being really good friends with the comic person here on Lytherus, I have definitely picked up some of the backsplash of what is in and happening in the comic world. I knew this story wouldn’t be like the mainstream stories, based simply on the cuteness factor of the art. But what it did do is remind me why children are so drawn to comics. The peaceful era on the TreeWorld of Chlem shatters when a creature falls from inside the tree onto the ground. A Guinea pig, Perry, and a Chihuahua, Spec, return the lost creature and discover a forgotten world of magical critters who long for companionship. These critters offer to build a ship for Perry to explore the TreeWorld if he brings the critters’ children. So now Perry, Spec, and Perry’s mate, Peg, are on their journey of discovery with the dragon-like critters who have no name… as of YET! The Graphic Novel was broken into three mini-stories, each one propelling the story ahead, yet having a beginning, middle, and end. The first is Peg telling the young Yets a story while Perry loads the ship. The story is how she and Perry met, after she was kidnapped and he rescued her. Part two was all of them trying to get some sleep on the floating ship, but Vance, one of the adult Yets is snoring, keeping them all awake, creating a dilemma of how to shut him up. And the third part was about Perry and Spec falling off the ship and landing on a cloud. They wonder how they will get back to the ship, but lucky for them, the cloud shepherd finds them, saving the day. This book definitely didn’t have the depth that a lot of more adult comics, but I can see the appeal of this story for children. It was fun and whimsical, and the plot still had nice substance while maintaining that cute factor. Part two felt a lot like a Looney Tunes episode, which was fun and comical, pardon the pun. And I have to say, I was curious at the end of the comic about where they were heading on the awesome floating ship. So as a writer, he did his job well! All in all, a charming read that I think children in particular will really enjoy. And I thought it was a nice foray into comics for me, since I missed out of the joy of them in my childhood. Interested in getting a copy? As far as I know they aren’t sold in traditional comic book stores, so here’s a link to Mike’s website and his blog; I’m sure he’d be happy to accommodate!